How many grown-ups fondly remember their first rag doll? 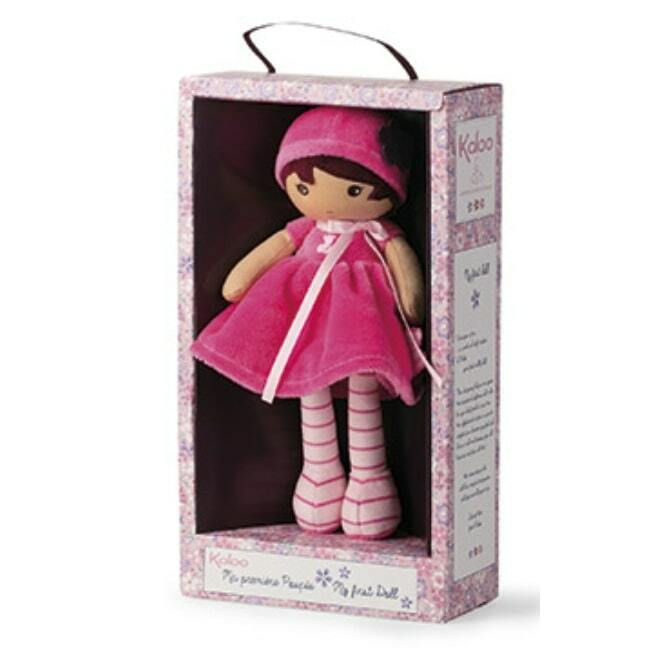 Now joining the Kaloo family is the Tendress medium doll, a beautiful plush dolly with a soft pink dress, long squishy legs in stripy tights and short dark hair in a sweet, contemporary style. 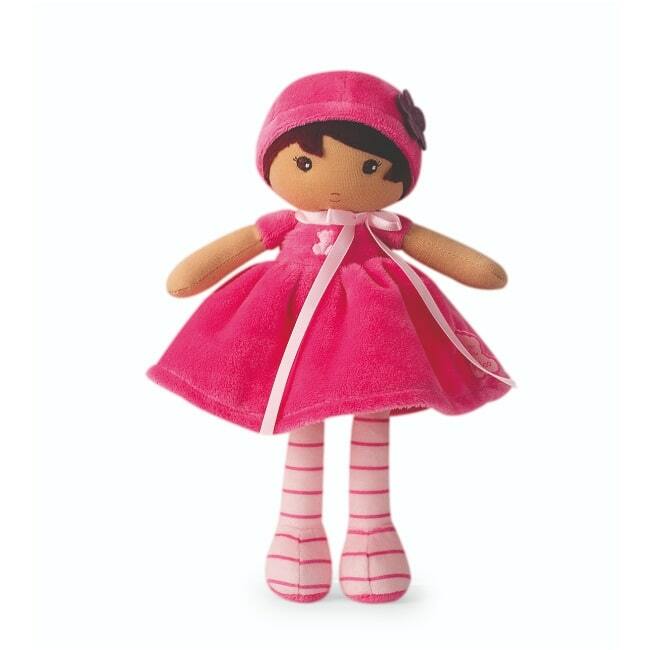 This doll is suitable for babies, and it’s machine washable, meaning you can keep her fresh and clean even after the most messy tea parties. 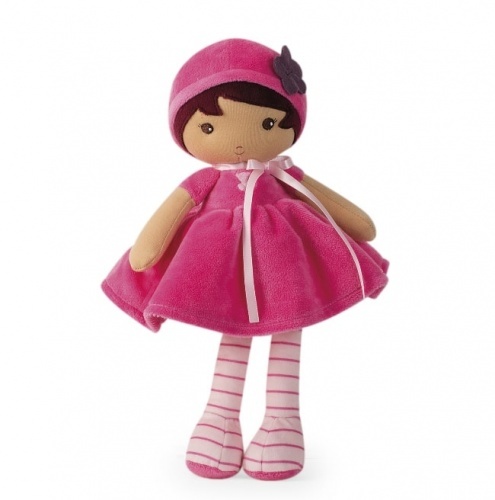 With no removable small parts, and sewn-on facial features, she’s a safe and comforting doll perfect for playtime, dinnertime or even as a comforter when it’s time to go to bed.